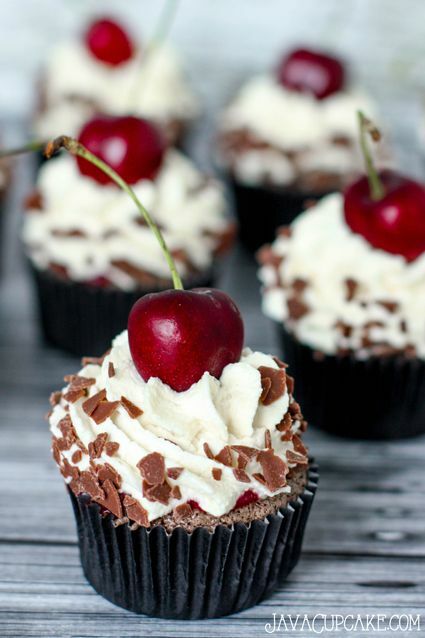 Made with an authentic recipe & German ingredients, these Black Forest Cupcakes are a delicious alternative to the traditional Schwarzwälder Kirschtorte or Black Forest Cake of Germany! You can’t be in Germany without eating Black Forest Cake at least once, if not dozens of times. For almost 100 years, this cake has been a favorite of Germans and chocolate & cherry lovers around the world. The cake gets it’s name from the region it was created in, the Black Forest and features one of the areas biggest crops.